Meet Eva Gold, PsyD, Jon Frew, PhD, and Steve Zahm, PhD, C0-founders, C0-Directors, and Senior Faculty of Gestalt Therapy Training Center–Northwest. Eva Gold PsyD is a psychologist in private practice. Her current interest is in working with psychotherapists–as mentor, consultant, supervisor, or individual therapist. She was an Adjunct Assistant Professor at Pacific University School of Professional Psychology where she taught Gestalt therapy for 15 years. 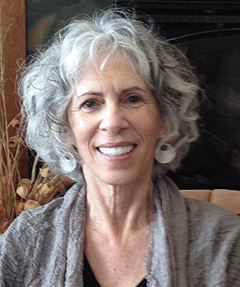 A Gestalt therapist since 1978, her lineage includes extensive training with Isadore From, Bob Martin, and in the Graduates Program at Gestalt Training Center—San Diego with Erv and Miriam Polster. The author and co-author of numerous articles and book chapters on Gestalt therapy theory and practice, she also presents nationally and internationally on the intersection of Buddhist psychology and Gestalt therapy. A student of Buddhist psychology, and an Insight (Vipassana) Meditation practitioner for many years, she is co-author of the book Buddhist Psychology and Gestalt Therapy Integrated: Psychotherapy for the 21st Century. Jon Frew PhD, ABPP is a psychologist in private practice. He completed the 3 year Post Graduate Training Program at the Gestalt Institute of Cleveland in 1981. He has conducted workshops and led training groups in the United States, Canada, and Australia. He recently left his full time position as a Professor at Pacific University School of Professional Psychology. The author of numerous articles on Gestalt therapy theory and practice, he is an Associate Editor of the international journal, Gestalt Review, and is co-editor of the book Contemporary Psychotherapies for a Diverse World. Steve Zahm PhD is a psychologist in private practice. He is a graduate of the Gestalt Training Center—San Diego. A trainer since the mid 1970s, he was one of the first to offer ongoing Gestalt therapy training in the Portland/Vancouver area. The author of numerous articles and book chapters on Gestalt therapy theory and practice, he has had a special interest in bringing Gestalt therapy into academic settings for over 40 years. He recently left his position as a Professor at Pacific University School of Professional Psychology, where taught Gestalt therapy for almost 40 years. He has studied Buddhist psychology and has been an Insight (Vipassana) Meditation practitioner for many years, and is co-author of the book Buddhist Psychology and Gestalt Therapy Integrated: Psychotherapy for the 21st Century.